View of Central Station, Newcastle upon Tyne, May 1956 (TWAM ref. DT.TUR/2/15680). 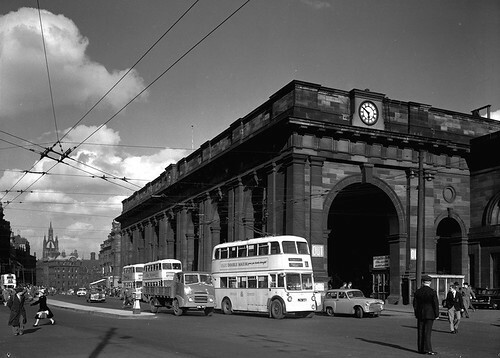 Tyne & Wear Archives presents a series of images taken by the Newcastle-based photographers Turners Ltd. The firm had an excellent reputation and was regularly commissioned by local businesses to take photographs of their products and their premises. Turners also sometimes took aerial and street views on their own account and many of those images have survived, giving us a fascinating glimpse of life in the North East of England in the second half of the Twentieth Century.